All this cake munching got me inspired and I scurried off to The Bat Cave to make this simple card, using My Little Cupcake from Rainbow Studios. Still loving the doodles! 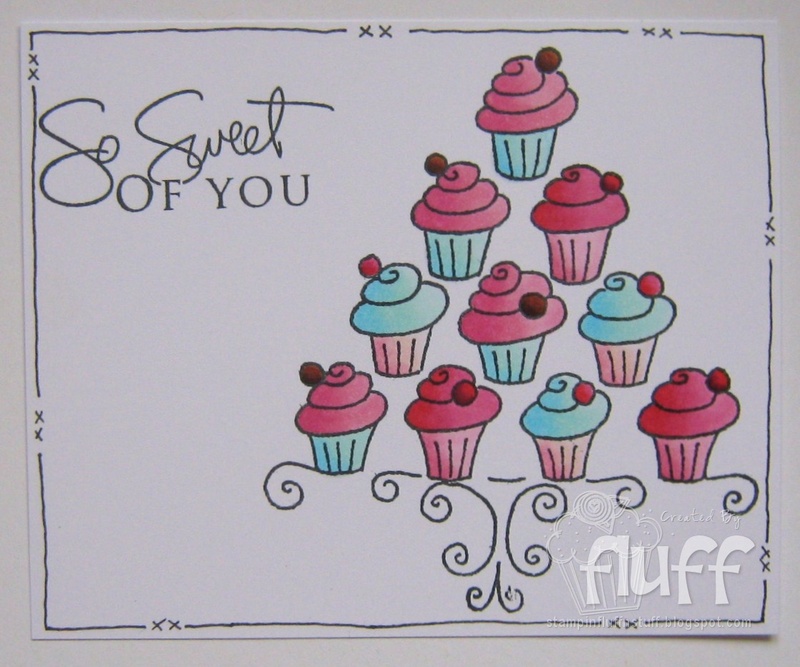 Don't forget Rainbow Studios are currently offering 20% off their Christmas Stamps. 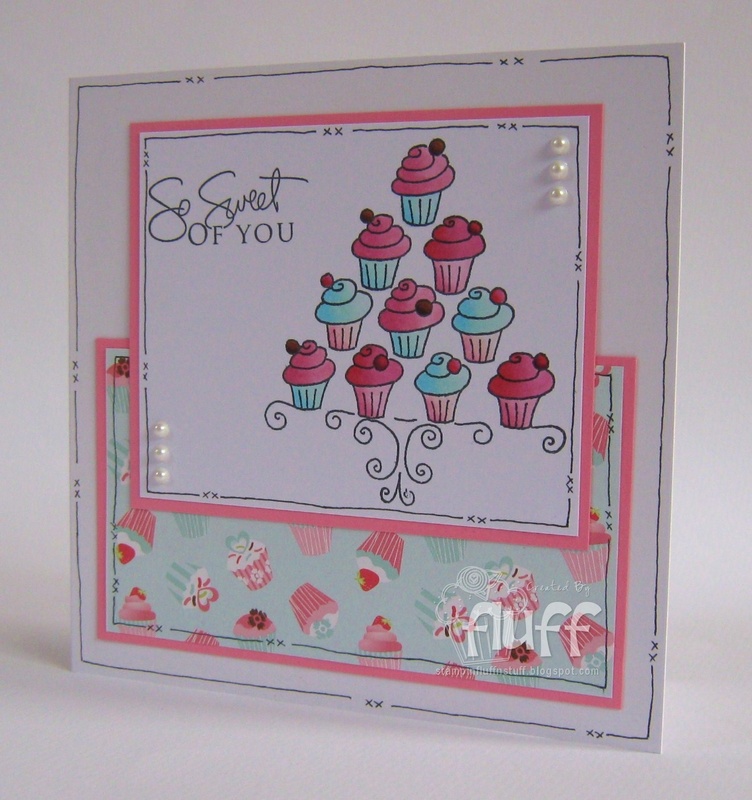 Hiya Fluffy....what a yummy card is this...very elegant with those lovely swirls! Gorgeous card faye, I like the yummy image. This is gorgeous Faye, loving the cupcakes and funnily enough I was at the cake shop this morning buying supplies for my next batch of cupcakes!! ;o) Although I'm not sure they'll look as delicious as the ones on your card! Fabby DP too! Mmm, delicious card. Still loving the doodles! Oh Yum!! Great now I want cake too! I hate that cold too, but that is one good thing when winter comes, I love to bake. Need that extra layer of weight to keep warm! Plus love to have the nice warm oven on smelling all the yumminess too! Your card is quite yummy. Love the paper and the image too! I see you have some candy on your blog. Are you offering Hugh Jackman as blog candy? If so, I'm in!!!!!! Where do I sign? LOL! Oh so SWEET! Love it. Man i lurve da cake! but really should be eating "Dust!!"